“That’s quite a pair of shoes that Tony Gizzo has on…do you remember him?” Flatland Special Projects Reporter Mike McGraw asks, looking at a photo of a man in a police lineup. McGraw is sitting with author and retired FBI agent Bill Ouseley, a walking encyclopedia of Kansas City’s organized crime history. Folders and photos are fanned out before them on a wooden table in the Kansas City Public Library’s Missouri Valley Special Collections room. 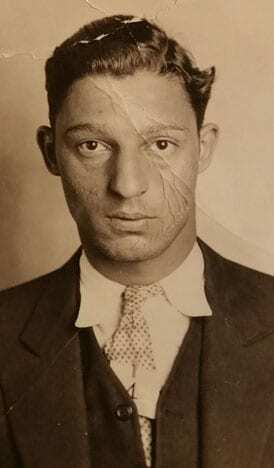 The man in the photo could have been chosen by central casting to play the role of an old time gangster. Portly, but dressed to the nines. Flashy white dress shoes with black tips, a matching black and white pattern tie. His balding head covered by a signature fedora. 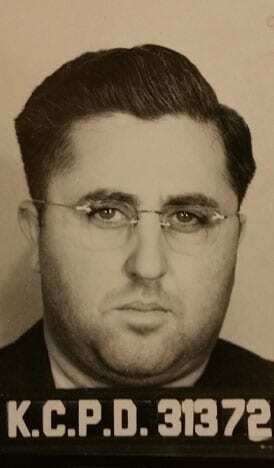 The man’s name is Anthony Gizzo, once the boss of the entire Kansas City crime family. 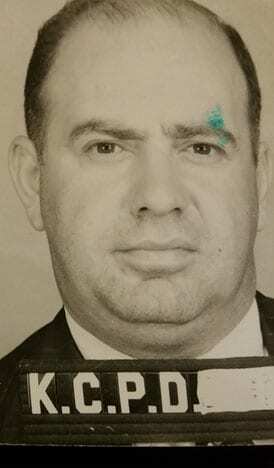 Gizzo has been dead nearly 60 years, but for Ouseley, the author of “Open City” and “Mobsters in our Midst,” it might as well have been yesterday. 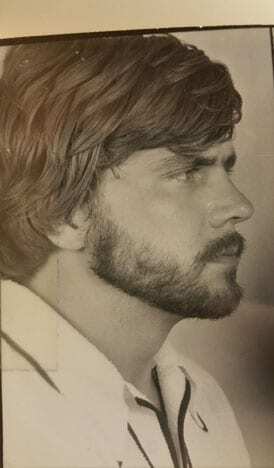 Gizzo was a familiar name and face to Ouseley, one that became known over the course of a two-decade long career with the FBI. 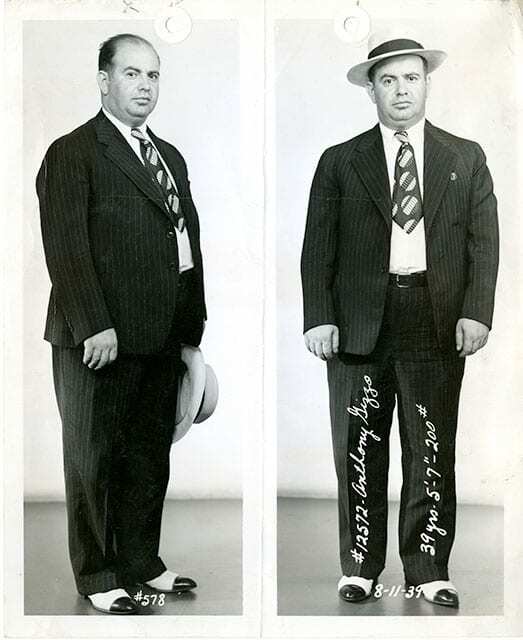 Gizzo’s photo, and those snappy shoes, are just part of what is captured in a loose collection of newspaper clippings, office notes and police records from The Kansas City Star. 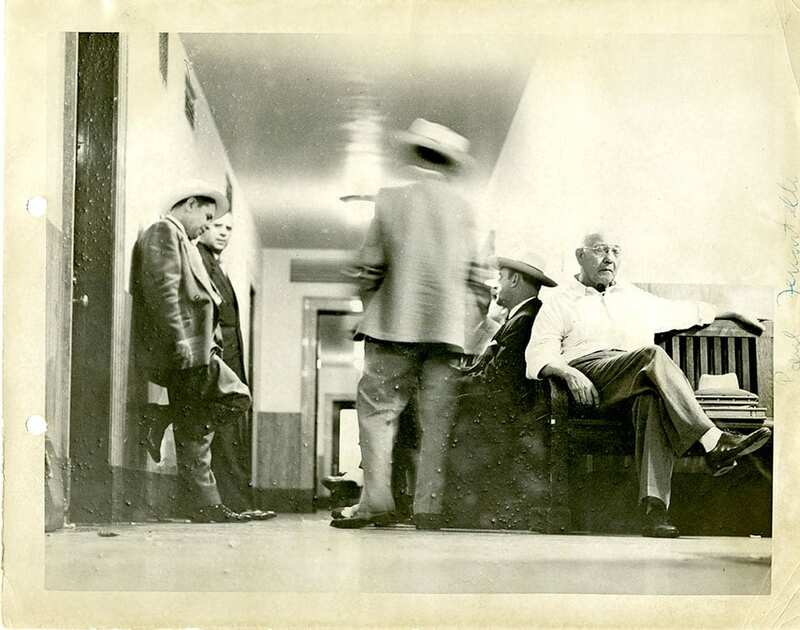 These photos and documents may shed light on the history of organized crime in Kansas City at their new home in the Missouri Valley Special Collections. They were files that almost didn’t make it here. If you climb up to the third floor of The Kansas City Star’s ancient brick building downtown, you’ll find a room where time stands still. The library stretches expansively in all directions. Gray, green and tan file cabinets store newspaper clippings that document the first draft of a century of Kansas City history. The room is quiet, musty and dimly lit. Long gone are the days when a half-dozen full-time employees spent their days cutting up The Star’s print edition and filing articles away in bright yellow envelopes labeled by subject or name or place. The Star is in the midst of a digitization project to scan the clippings, one that is slowly moving the analog world into the digital era. But here, history is frozen. Reporters and editors call this room “the morgue” because it’s where stories go to die. But sometimes those stories wake up. McGraw, now the special projects reporter with KCPT and its digital magazine, Flatland, was working for The Star two decades ago. 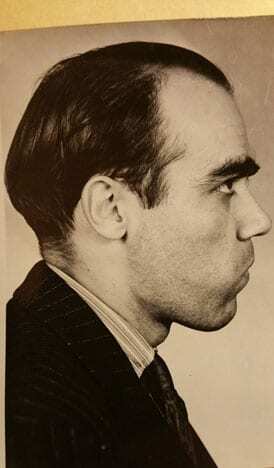 He had walked up to the morgue to do research, when he noticed a librarian tossing files into a 50-gallon drum. He asked what she was doing, and she told him there was no room to keep them. McGraw glanced at the table next to the drum and saw a stack of clearly very old and fragile reporters’ notes, photographs and files. This was a peek into the newsroom, a generation or two before him, an intimate record of how his predecessors had once worked the crime beat. McGraw swooped up the papers and photos and beat a retreat back to the newsroom. He didn’t have a plan. He just didn’t want to see history destroyed. He asked his editor if he could keep the files, and they went into another cabinet next to his desk. When The Star pushed for a paperless newsroom in 2012, he brought them home and stuck them in another file cabinet. McGraw never had a desire to keep the files private; he just wanted to rescue them. Then inspiration struck in another library. It was late last year, when McGraw was researching another story in the Kansas City Public Library’s Missouri Valley Special Collections, that he realized the files would be at home among the maps, photos and documents that detail the fabric of Kansas City. 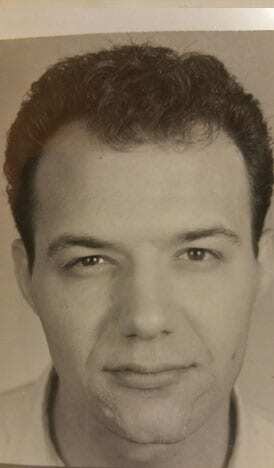 Those reporters include Ira McCarty, a political and legislative reporter for The Star during the era of Charles Binaggio, Tony Gizzo and Nick Civella. His notes and letters to editors and others are found throughout the documents. 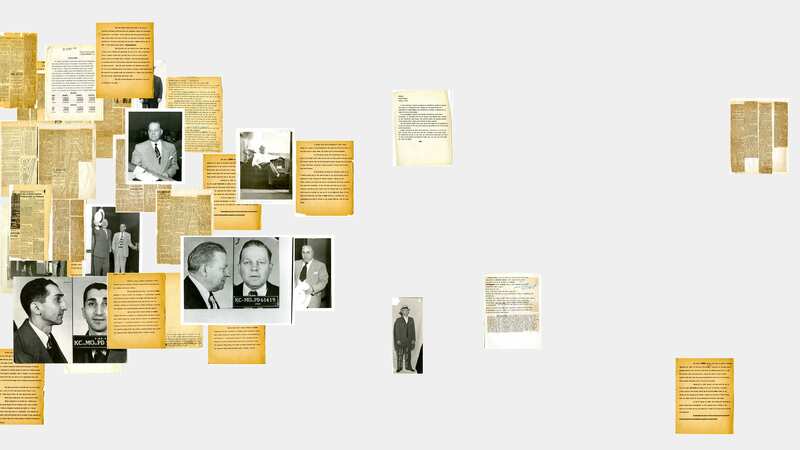 The team inside the Missouri Valley Special Collections believed this could provide an important addition to its files and photos documenting its history of the mafia in Kansas City. The files were delivered from McGraw late last year. The library staff has since been focused on archiving them. 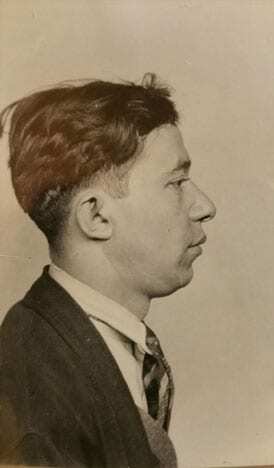 Special Collections did not have a dedicated collection on the Kansas City mafia, so these files were the beginning of a new collection for the library detailing one of city’s most romanticized and violent eras. Part of the preservation process is finding out how much of a donated collection is intact. 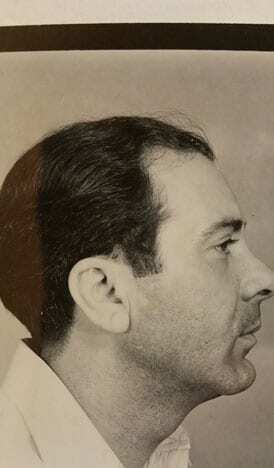 Many of the mug shots found in the collection from The Star were in small envelopes. There were a total of 58 envelopes and 33 still contained a photo. To further complicate matters, many envelopes were duplicates or had misspellings or indiscernible writing. Just as these files were in peril at The Star, many agencies looking to eliminate clutter often destroy history in the process. It’s the nature of our relationship with paper. We file it in a cabinet before we file it in a waste paper basket. That act of spring cleaning could threaten the information there is on crime families. 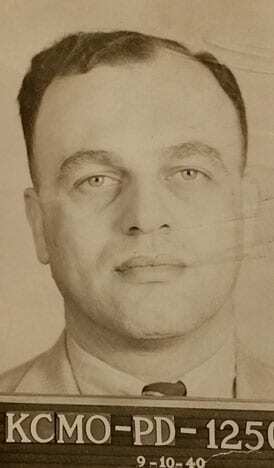 Since the information on mobsters is divided between police departments, the FBI, personal collections and newspapers like The Star, the story of organized crime in Kansas City is an unfinished puzzle. Consolidating the information in the Missouri Valley Special Collections could shed light on major players and minor players alike. Many of the files in this collection are from 1950. 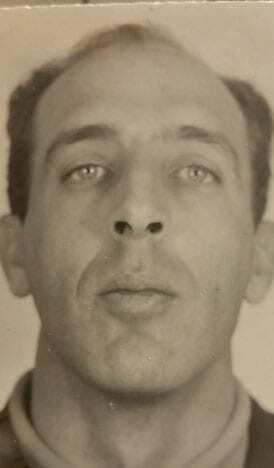 While the photos, police reports and letters to editor were not kept in a discernible order, the variety of source material suggests that reporters were attempting to build files on individuals in the crime family. 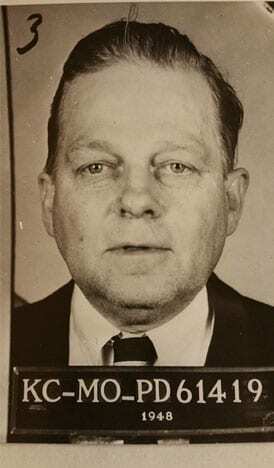 The documents offer a “who’s who” in the Kansas City Mob of the mid-twentieth century, an “anything goes” era in the city’s criminal history. Murder. Gambling. Bribery. Election rigging. Labor racketeering. 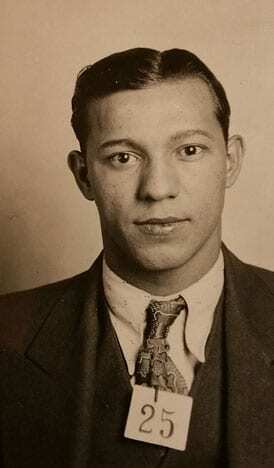 It was also a time when police departments were being forced to combat organized crime, not tolerate it. 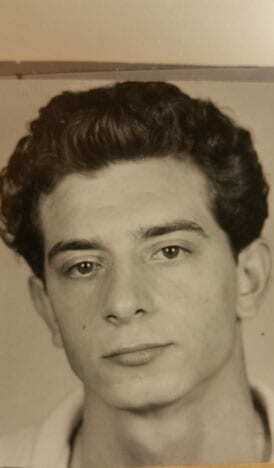 Big names, like Charles Binaggio, are in the file. 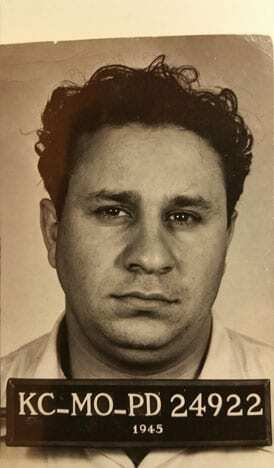 Binaggio became the boss of Kansas City in 1939. 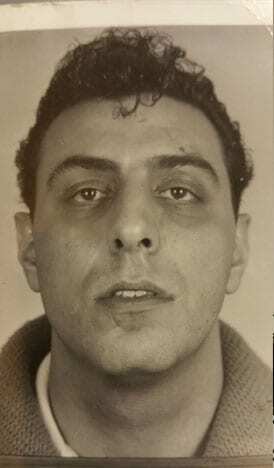 A major player in politics, Binaggio was eventually linked to voter fraud. That investigation nearly stalled after a safe containing evidence of the case was blown up. 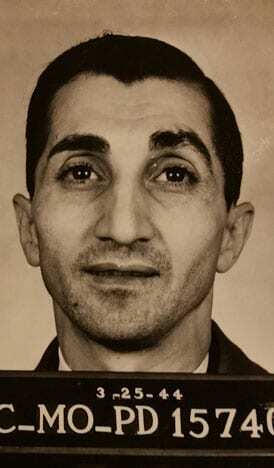 On April 5, 1950, Binaggio and Charles Gargotta, his right hand man, were found dead in the First District Democratic Club. 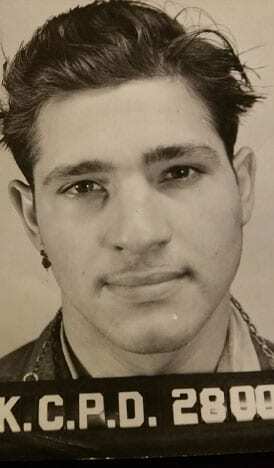 Gargotta and Binaggio had each been shot four times at close range. 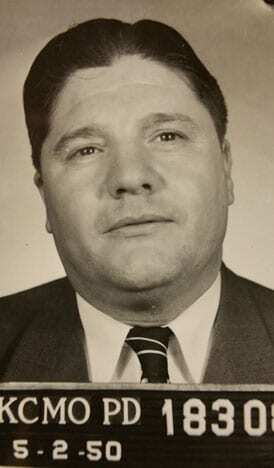 Investigators theorize that Gargotta may have been killed in his own assassination attempt of Binaggio. 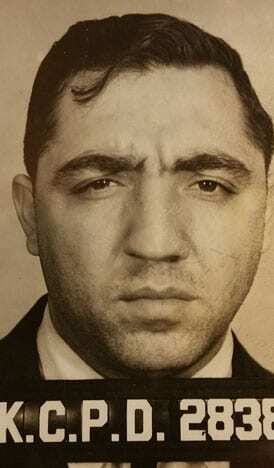 This would lead to a new, but short-lived, crime boss for the city: Tony Gizzo. 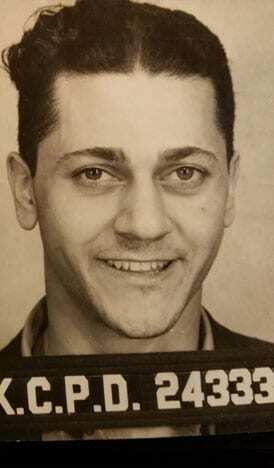 Gizzo was only at the head of Kansas City’s crime family for three years, but he served during a key period connecting two major bosses: Binaggio and Nick Civella. 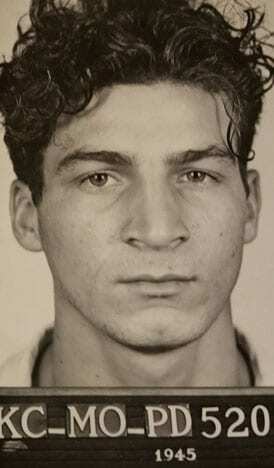 Gizzo was born in New York City, but made his way to Kansas City, where he befriended Binaggio. 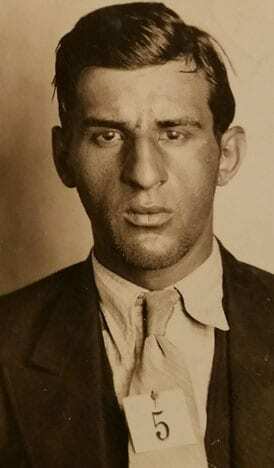 Gizzo led many gambling operations and held considerable political power on the city’s north side before he died in 1953. The Missouri Valley Special Collections is on the fifth floor of the Kansas City Public Library’s central branch. Stacks of materials ring a series of tables, where researchers can pour over maps, photos and documents about local and regional churches, military conflicts and African American history. “Our scope is as large as people’s interest in history,” Drouin said. The size of each collection is just as varied. Donations range from a single book to 5,000 bankers’ boxes, but the intake process is the same. Archivists and library staff – there are five full-time and two part-time employees in the Special Collections department – examine potential collections after being contacted by a donor. “I remember this photo…” Ouseley says, a stack of documents spread out on the wooden table before him and Mike McGraw. Ouseley is looking at a picture of “old-timer” Paul Ferrantelli waiting outside a Jackson County court house. “The photo almost looks like the photographer had the camera in his suitcase,” McGraw said. If Ouseley had to guess, he believes these documents were prepared for The Special Committee on Organized Crime in Interstate Commerce. The Kefauver Committee, as it was known, (so named for U.S. 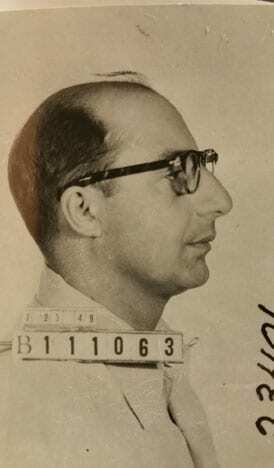 Senator Estes Kefauver, who helped create the committee), spent 15 months studying organized crime in America between 1950 and 1951. “Historically it would be marvelous to have this,” Ouseley said. “And if you start it, when I pass on, you’ll get all of my stuff, and you’ll have a hell of a collection.”When asked if Ouseley would really let Special Collections take all of his old notes, he laughs. microfilm. On some occasions, another area historical society or library might also be a better fit based on the subject matter of the materials. In the case of the mob collection files, the newspaper clippings will be scanned. The originals will remain in the back room, while photocopies will be made available to researchers. The mug shots and photos will be encased in a plastic sleeve. And a finding aide — a thorough description and explanation of how the files came to the library — will be created to let researchers understand the background of a collection and search the documents by name. While the collection will be available in hard copies at the library, the staff is still determining what can be placed online based on privacy or copyright issues. rival that was published between 1928 and the 1940s). expects to have the collection available to the public in April. — For more local stories like this, follow Flatland on Facebook and Twitter @FlatlandKC.